What is the Best Material for Dock Building? You Are Here: Home / Azek Decking / Benefits of PVC Decking / Brock Dock / Deck Installation / Dock Supplies / HDPE Decking / Pompano Beach / PVC Decking / PVC Decking Prices / What is the best material for my deck? / What is the Best Material for Dock Building? If you’re dock has become old and worn out and you’re looking into the best options for a new deck, consider a PVC dock. PVC docking is becoming increasingly popular for many different reasons. If your wood dock has begun to crack or splinter it’s time for an upgrade. PVC docks are made from 100% plastic, recyclable material making them environmentally friendly. Also, because they are plastic you don’t have to worry about mold and mildew forming like you would have to with a wood dock. At Keys Deck & Dock Supply we provide the best docks in Pompano Beach. Are you tired of constantly having to maintain and upkeep your wood dock? Wood docks can require a lot of work in order to make sure they don’t fade or get mold and mildew forming on the underside. PVC docks are not only mold and mildew resistant, but they also don’t fade from the sun. PVC docks are incredibly easy to maintain and require little maintenance compared to wood docks. Constantly having to paint your wood dock to make sure it looks good can get time consuming and you know eventually your dock is going to start fading again. 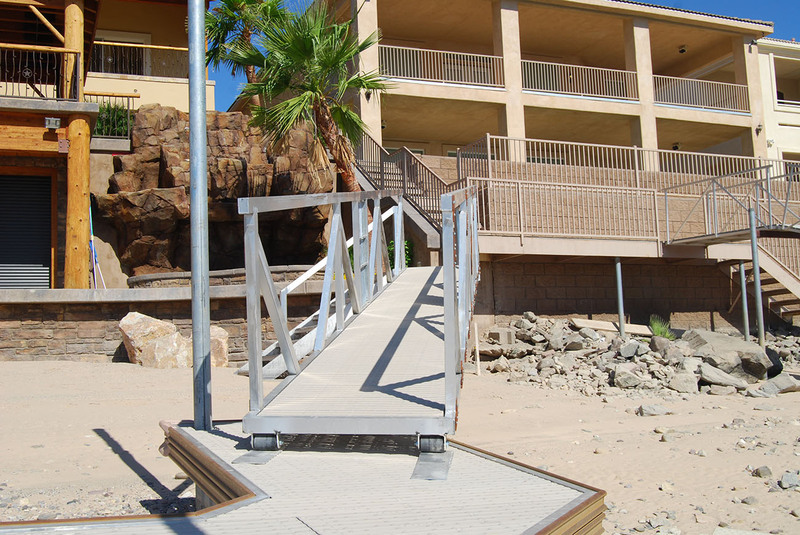 With PVC docks you’ll no longer have to worry about your dock fading from the sun. Another major benefit of PVC docks is they are slip resistant. You won’t have to worry any longer about the kids going out and slipping, falling and potentially getting hurt because your dock is wet. In addition to being slip resistant, our PVC docks don’t get scolding hot from the sun. There’s nothing worse than going outside and burning the bottom of your feet when you walk on your dock. These are just a few of the advantages in which PVC docks have over wood docks. When you compare the differences between wood and PVC docks it’s easy to see why PVC docks are becoming more and more popular today. They require little maintenance so you’ll have more time doing the things you enjoy. At Keys Deck & Dock Supply we provide free consultations and can help you select the perfect new PVC dock in Pompano Beach. To see how a new PVC dock can improve the look of your home, call Keys Deck & Dock Supply today.